As the head honcho at your business, you appreciate a little bit of customization when it comes to the products you order. You take special care to get your logo on all of your stationary. You buy your own pens. 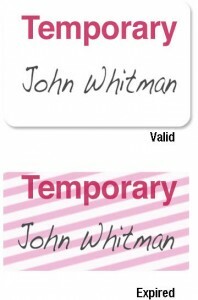 You create your own business cards online by inputting your custom designs and text. As far as you’re concerned, every last detail reflects how consistent your brand is—and that’s why you leave no stone unturned. So why should your lanyards be any different? Business cards are one thing, but adding your own creative twist to the lanyards you use to carry company ID badges every day at the office or brandish while on the road at a business conference—those are an entirely different ballgame. If you want to truly create something unique and stand out from the crowd, it pays to create your own lanyard. And we have just the tool for you. If you haven’t seen it already, head to our create your own lanyard tool and open up a window side-by-side with this blog post so we can walk you through the process. Your first choice isn’t about the lanyard itself, but about the design process: are you a rookie or a pro? You don’t need to be a lanyard professional to choose the “pro” option—you should simply be confident in your ability to handle tools like this online. If you’re new to this kind of thing, however, we strongly recommend that you choose the “rookie” heading so that the process doesn’t throw you any curveballs along the way. You’ll also have the option of uploading your own design. If you’ve done your own designs in the past for business cards, letterhead, and the like, this is the time to get your logo up and running with your lanyard. And if you have a graphic designer handy, it wouldn’t hurt to ask them to help you out. Quantity: How many are you ordering? 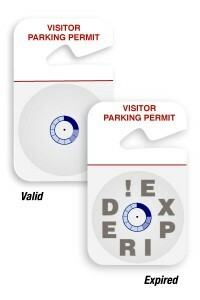 Style: Choosing 1-color gives you one contrasting font color against the lanyard. You can spice it up by selecting a “2-color” style. Lanyard width: How wide should it be? 5/8” is standard, but you can go bigger if you need more logo room. Material color: What will the actual color of the lanyard itself be? Safety break-away: Here you can choose whether to include a safety break-away, and if you do, you can choose from either white or black options. Finishing option: Where the lanyard meets the attachment. Attachment: Depends on what kind of badge holder you have. Options include split ring and a swivel badge clip. 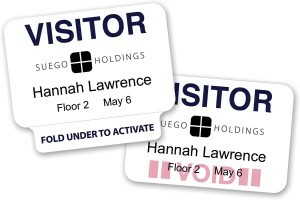 You’ll also be able to select the front and back-side imprints, choosing the text that runs along the lanyard itself. Choose fonts, the message itself, as well as the color(s) of the text imprint. The preview on the left will show you whether or not your color choices will be easy on the eye. Throughout the process, you’ll be able to view the cost per lanyard so you’ll know whether your choices are keeping you within budget. Once you’ve customized each field and are sure you’re happy with how it looks, you can choose “add to cart,” and—voila! 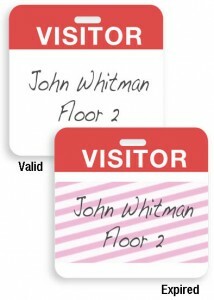 Your very own lanyards, complete with a design you yourself created.